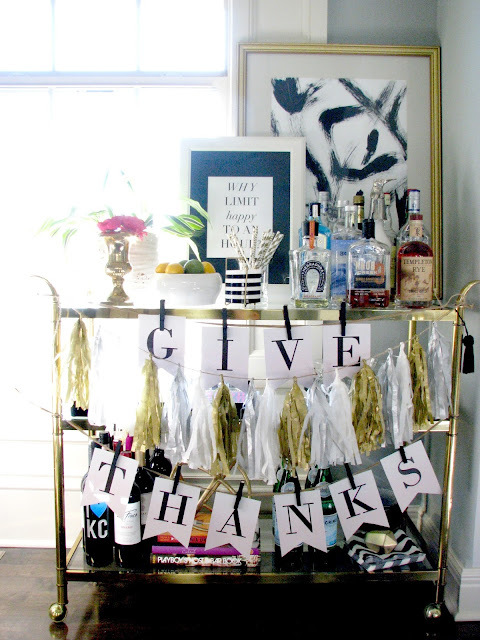 The bar cart is in our dining room and is colorful and bright and junked up and one of my favorite items in our home, so I thought, why not just add some more to it?!?! 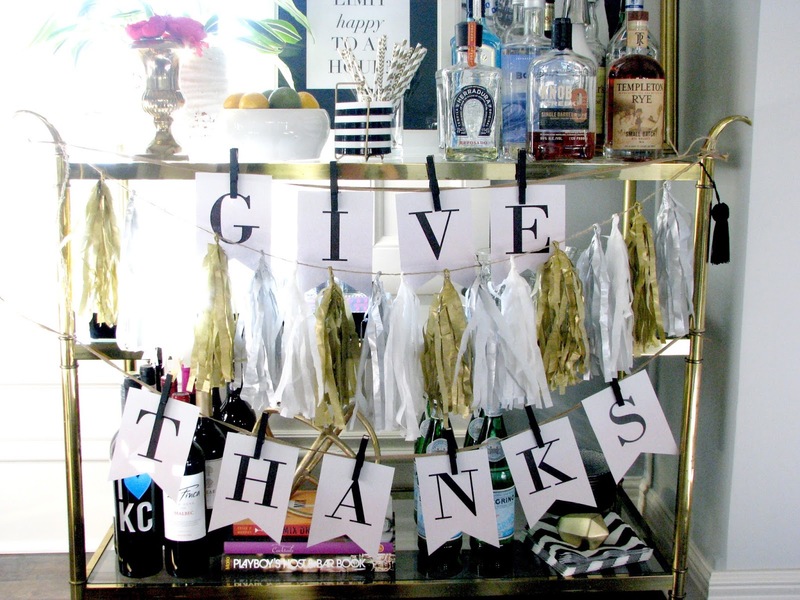 I found this free printable from The Tomcat Studio, printed on card stock, cut out, and clipped to twine with laundry clips from the dollar store. How fun, it looks like you are all ready.